National Research Institute for Cultural Properties, Tokyo is conducting investigative research to protect mural cultural properties over a broad region extending from western Asia to Japan. In October of this year, two international conferences were held, and these were good opportunities to describe those activities, and make an appeal for our goals. The first of the two conferences held was the “2014 International Conference on Protection of Ancient Sites on the Silk Road” (October 8–9) commemorating the 70th anniversary of the founding of the Dunhuang Academy of China (Dunhuang City, Gansu Province). 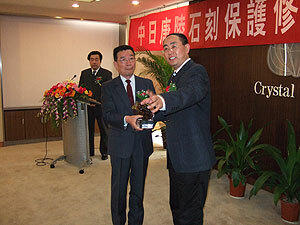 This academy has had a cooperative relationship with our institute for a quarter of a century. The second conference was the international symposium “Preventive Conservation of Chinese Ancient Murals in Global Perspective” (October 16–17) at the Shaanxi History Museum (Xi’an City, Shaanxi Province). 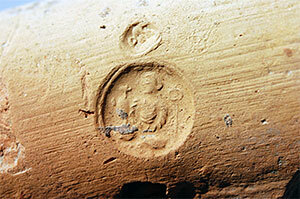 This museum has many years of experience in conservation, restoration, exhibition and publication of tomb murals. OKADA Ken and YAMAUCHI Kazuya, Head of the Regional Environment Section of the Japan Center for International Cooperation in Conservation, were invited by the Dunhuang Academy of China. OKADA gave a keynote address entitled “What Does ‘Conservation’ of Murals Mean?―Thoughts Based on Investigation of Murals in Cave 285 at Mogao.” YAMAUCHI spoke on “Protection of the Bamiyan Murals in Afghanistan,” and at the end, summarizing the conference as a representative of foreign experts, he expressed his hopes that research on protection of murals throughout Eurasia will be carried out through cooperation by experts from all countries. 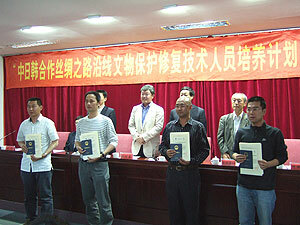 OKADA was invited by the Shaanxi History Museum. Based on the results of investigative research on murals in the Takamatsuzuka Burial Mound, which the National Research Institute for Cultural Properties, Tokyo has worked to protect over the last 40 years, he gave a report entitled “Research and Protection of Murals on the Eurasian Continent―The Significance of International Cooperation.” He proposed that understanding of cultural values should be deepened by carrying out mural research with a wide-ranging perspective. The conservation of the stone statues of the tombs of the Tang dynasty in Shaanxi province, which started in 2004 as a joint project between China and Japan, has been completed successfully. The final site inspection and project evaluation by special advisors and external evaluation committee members were conducted in Xi’an from March 16 to 18. This project was funded by the Japanese benefactor, Mr. Kuroda Tetsuya, who offered a total of 100 million yen to the Foundation for Cultural Heritage and Art Research. In the project, stone statues found at the north, south, east and west gates of three mausoleums from the Tang dynasty – two imperial tombs, Qianling and Qiaoling, and Shunling Mausoleum, where the mother of Wu Ze Tian is buried – were restored. The project also included the improvement of the surrounding environment. 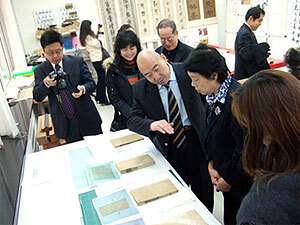 The National Research Institute for Cultural Properties, Tokyo has been in charge of the project, working with the Xi’an Centre for the Conservation and Restoration of Cultural Heritage. Various investigations and restoration work have been conducted, workshops have been hosted, and Chinese members have been invited for research. Mr. Kuroda and his wife also participated in this inspection and meeting and were given words of appreciation and a commemorative gift for their support from the Shaanxi Provincial Cultural Relics Bureau. A project for the conservation and restoration of the Longmen Grottoes in Luoyang city, Henan province, China commenced in November 2001 using a trust fund of one million dollars that Japan offered UNESCO to conserve cultural heritage along the Silk Road. The National Research Institute for Cultural Properties, Tokyo, was commissioned by UNESCO to play the role as a consulting organization in this project, and has been acting as a facilitator for Japanese specialists. The Institute also received support from the Foundation for Cultural Heritage and Art Research (President, Hirayama Ikuo) and JICA for expenses that could not be covered by the trust fund alone. 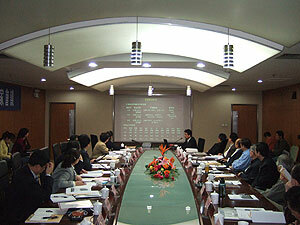 Additionally, the budget of the Institute has been used to support the project in various ways, including the purchase, installation and maintenance of observation equipments; long and short-term training of researchers of the Longmen Grottoes Research Academy’s Conservation/Restoration Center; and photographing of the site for the construction of an image database at Longmen Grottoes Research Academy. The sum that the National Research Institute for Cultural Properties, Tokyo used above and beyond the UNESCO fund reached approximately 60 million yen. 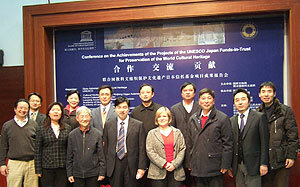 Upon completing the project for the conservation and restoration of the Longmen Grottoes in 2008, a final meeting was held at the China National Institute of Cultural Property in Beijing on February 20. 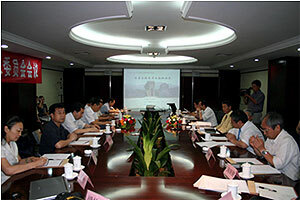 This meeting also served as a meeting for the project on the conservation and restoration of Kumutula Qian Fo Dong in Xinjiang Uygur Autonomous Region which was completed at the same time. Reports on these projects were given by the Luoyang Municipal Cultural Relics Bureau and the Cultural Heritage Administration Bureau of Xinjiang. 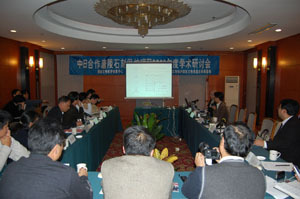 Discussions by specialists were followed by comments from representatives of the Chinese　and Japanese governments and the UNESCO Beijing Office. On the following day, a symposium to commemorate the completion of both projects took place and members of respective projects presented the results of their work. An earthquake of magnitude 8 occurred in the Sichuan province of China, with the seismic center in Wenchuan-xian, on May 12, 2008. It was a catastrophic disaster that resulted in serious damages including deaths and fatalities due to the collapse of buildings and landslides. 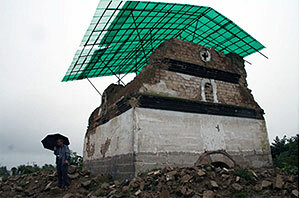 Sichuan province has a long history and many of its cultural properties were also seriously damaged. Following the dispatch of a team immediately after the earthquake in order to save lives, the Japanese government submitted a “support package” to the Chinese government listing the types of support that each ministry would be to provide. Response was received at the end of June, and it was decided to exchange Japanese and Chinese experts in order to support the restoration of cultural properties, a project proposed by the Agency for Cultural Affairs. The National Research Institute for Cultural Properties, Tokyo, commissioned by the Agency for Cultural Affairs, conducted research from September 25 to 30. Focus was placed on collecting information in preparation for developing a specific plan for restoration activities that Japan would provide. 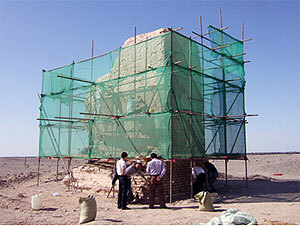 For this purpose the current condition of damage was investigated and opinions were exchanged with local persons in charge of the protection of cultural properties. Although 4 months had passed since the earthquake occurred, traces of damage were still visible in the disaster-stricken area. For example, at some temple offices people were working in tents used during evacuation even though winter was approaching. The following were decided during this visit and through discussions with experts. 1) Approximately 10 experts from Japan would visit Sichuan province and hold a seminar on the theme of protecting cultural properties from earthquakes, working with Chinese experts. 2) Mainly buildings and objects stored in muse-ums would be restored. 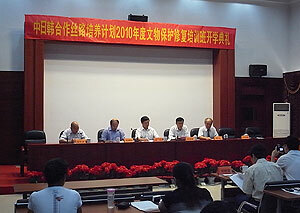 3) The time immediately after the 2009 lunar New Year (January 26) would be appropriate. The Agency for Cultural Affairs has received the report of this investigation and is currently examining specific details. 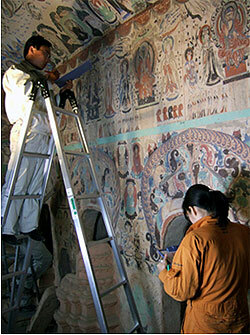 The fifth phase of the Joint Research on the Conservation of the Mural Paintings of the Dunhuang Mogao Grottoes　is in its third year. Members of the National Research Institute for Cultural Properties, Tokyo were sent to Dunhuang Mogao Grottoes for four weeks from June 1 to conduct the first half of this year’s Japan-China joint research. Continuing from last year, optical investigation that has been conducted until now in Cave 285, which has an inscription (A.D. 538 and 539) of the West Wei period, was continued and the conditions of the entire mural painting were examined. The condition of deterioration and preservation of the materials used for mural paintings differ depending on various conditions such as color, technique and the location　of the paintings. If we understand these conditions, the results of the optical investigation will reveal much more information, resulting in new ideas about investigation and analysis. In addition, if specific materials and techniques result in different states of deterioration, that will provide much insight into future conservation and restoration work. 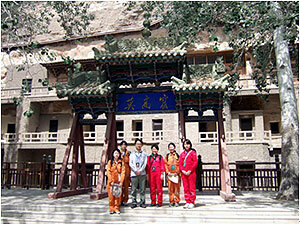 Furthermore, two graduate students with a master’s degree went to the Mogao Grottoes from Japan with this investigation team. They were selected from different fields of discipline – conservation science and paintings – as trainees dispatched to Dunhuang by public announcement that has been implemented from last fiscal year. They will stay in Dunhuang for five months until mid-October and receive guidance from specialists at the Conservation Institute of Dunhuang Academy concerning diverse matters related to the protection of mural paintings. This fiscal year is the final year of the project for the conservation of stone statues of the tombs of Tang dynasty that has been conducted jointly with the Xi’an Centre for the Conservation and Restoration of Cultural Heritage in China since 2004. For two days, on June 23 and 24, a meeting of Japanese and Chinese experts was held in Xi’an City where last fiscal year’s were reviewed and evaluated. From Japan, Mr. Nishiura Tadateru (professor of Kokushikan University, conservation of cultural properties) and Mr. Nedachi Kensuke (professor of Kyoto University, history of art) attended as experts. During the last fiscal year, of the three target mausoleums of this project, archeological investigations and maintenance work were conducted particularly for the east, west and north gates of the Qiaoling Mausoleum which is the tomb of Emperor Ruizong of Tang. 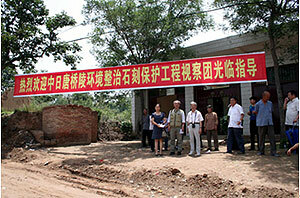 This time, Japanese and Chinese experts investigated the site in the presence of many local onlookers. In addition, the great Sichuan Earthquake that struck Shaanxi province on May 12 notably enlarged the crack on the lion statue placed at the south gate of the Shunling Mausoleum, another target mausoleum. For this reason, meteorological observation instruments were installed shortly after, and they were inspected on this occasion. A Japan-China academic seminar on the protection of stone cultural properties will be held in November and the project is scheduled to be completed next March after the final meeting of the review board. 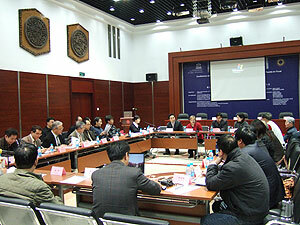 The program for capacity development along the Silk Road jointly conducted with China National Institute of Cultural Heritage（formerly the China National Institute of Cultural Property; restructured and renamed in February 2008）is now in its third year. This year the course on the protection of old buildings (first year of a two-year plan) will be held for three-and-a-half months in spring and that on the conservation of earthen structures (third year of a three-year plan) will be held for two months in autumn. This year, the spring course started a little earlier than usual, on April 3, to avoid the Beijing Olympics which will start on August 8. 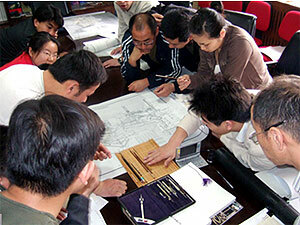 Twelve trainees from Xinjiang, Gansu, Qing Xiang, Ningxia, Shanxi, and Henan participate in the old buildings group. In the first year they will attend theoretical lectures and receive practical training in various types of investigations and the making of conservation plans in order to learn the basics necessary for the practical training in the work of conservation in which they will participate in the second year. 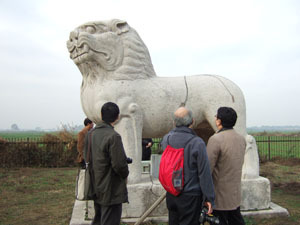 The Palace Museum has provided a corner on the east side of Yihexuan within the Gugong Palace complex as a place for on-site training in the first year. 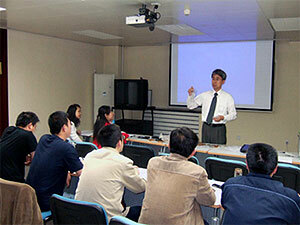 During the three-and-a-half months, 10 Japanese lecturers will participate and work with Chinese lecturers. 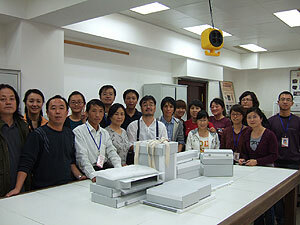 The “Paper Cultural Properties,” a training course in the program for capacity building that had been held at the China National Institute of Cultural Property in Beijing for three months has been completed. 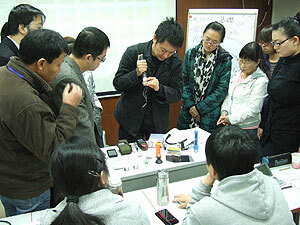 During the course a total of 12 experts from Japan served as lecturers for 196 hours. Particularly during the last 4 weeks 2 technical experts from The Association for Conservation of National Treasures conducted classes with Chinese experts and the trainees learned the techniques for restoring books and scrolls, although it was for a short period. 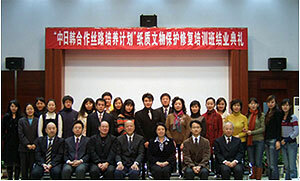 On December 27, Ms. Hou Jukun of the State Administration of Cultural Heritage of China attended the course completion ceremony. A certificate of completion issued jointly by the National Institute for Cultural Properties, Tokyo and China National Institute of Cultural Property was given to 12 trainees from 6 provinces along the Silk Road. This program will start the third year of its 5-year plan next spring. 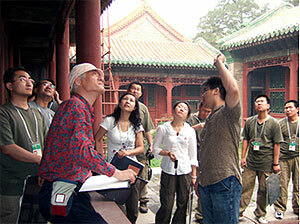 A course on ancient architecture is scheduled to be held in spring and a course on earthen heritage in autumn. 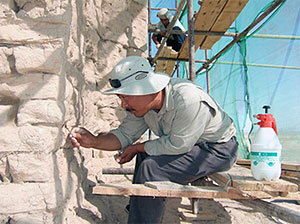 The Conservation of Stone Statues at the Tomb of the Tang Dynasty Emperor in Shaanxi Province Project and the UNESCO Japanese Funds-in-Trust Conservation of the Longmen Grottoes Project, in which the National Institute for Cultural Properties, Tokyo participates, will both be in their final year in 2008. Since both have for their target cultural properties made of the same material, limestone, until now workshops, on-site investigations and trainings in Japan have been held actively for members of both projects jointly. 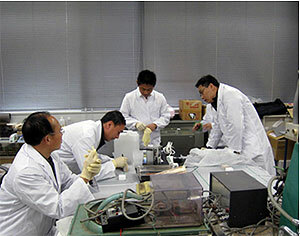 From November 19 to December 16, 2 experts each were invited to Japan from the Xi’an Center for the Conservation and Restoration of Cultural Relics and the Longmen Academy to receive training in such matters as the restoration of stone cultural properties, evaluation methods for the effects of application of water repellant material and environmental monitoring after restoration. The results of the training are expected to be put to use in the execution of restoration work that will be conducted in the last year of the projects. The International Symposium of the Korean Association for Central Asian Studies was held on November 10 at the National Museum of Korea in Seoul. The theme of this symposium was “Dunhuang Studies.” Jacques Giès of Musée Guimet, Susan Whitfield of The British Library and Samosyu Kira of The State Hermitage Museum reported on the mural paintings of Dunhuang, study of the Dunhuang documents and archives; Li Zuixiong of Dunhuang Academy spoke about the conservation and scientific study of the Dunhuang mural paintings; Okada Ken of the Japan Center for International Cooperation in Conservation presented a report on the Japan-China cooperative activities for the conservation of the Dunhuang mural paintings. The meeting, thus, was an extremely significant one that comprehensively covered the Dunhuang studies and the activities of experts throughout the world on related projects. 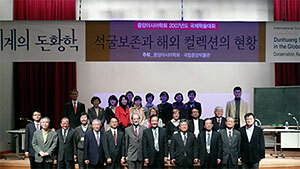 Although the Korean Association for Central Asian Studies is a relatively young association which was established 14 years ago, its members include researchers who have received degrees in Japan, China and the United States and are very positive in their approach to research Collaboration with Korea, as in other conferences like the 2007 International Symposium on Conservation of Cultural Heritage in East Asia, which was held at the beginning of November at the National Museum of Korea,and the Workshop for Paper Conservation in East Asia, which is held every year and is attended by experts from Japan, China and Korea, will increase in importance from all aspects of the study and protection of cultural heritage.